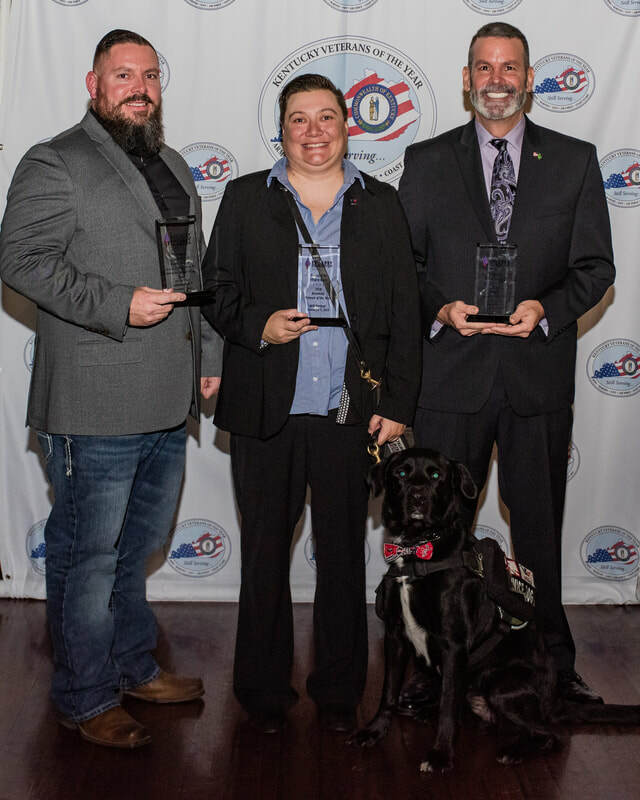 Congratulations to Jeremy Harrell, Megan Karr, and James Garigen on their selection as the 2018 Kentucky and Indiana Veterans of the year! Veterans are special and unique. They represent a very small percentage of our countries population that have made the decision to sacrifice their life in defense of this great country, if required. Sacrifice and struggle are no stranger to these men and women. The Commonwealth of Kentucky is home to more than 330,000 American heroes. Because we believe our veterans deserve our support and recognition, the mission of the Kentucky Veterans of the Year is to annually honor one male and one female Kentucky veteran for their heroic efforts defending our country and their continued willingness to serve their neighbors and preserve our Commonwealth’s way of life. the signature veterans program for the Epilepsy Foundation of Kentuckiana.